Who doesn’t love a sports car? 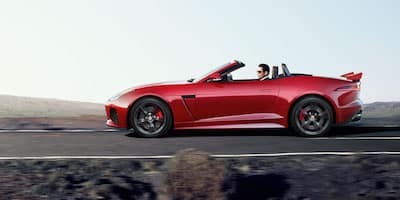 Whether drivers opt for the convertible or coupe, the 2018 Jaguar F-TYPE in Little Rock knows how to keep the adrenaline pumping. With an available 3.0L Supercharged V6 engine, this speedster can take to the open road with confidence. The superb driving dynamics on the 2018 F-TYPE aren’t by chance, they are due to the Electric Power Assisted Steering (EPAS) system. 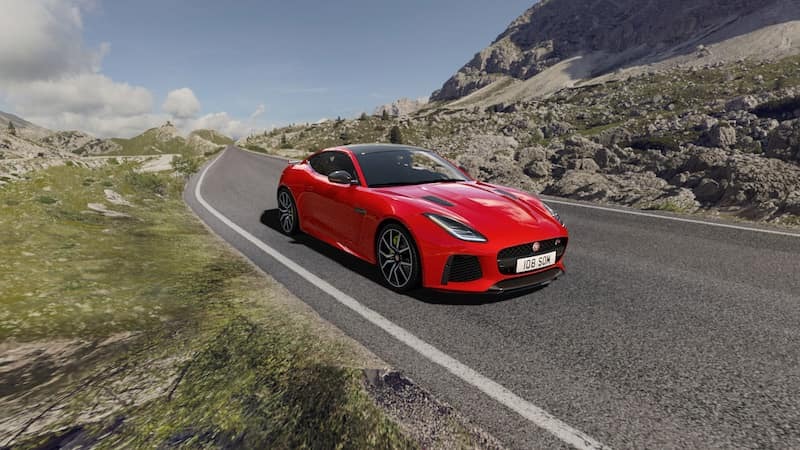 What better way to bring this beauty to a stop than the optional Carbon Ceramic Matrix Braking system, which is the most powerful braking system Jaguar has used on a road car. After looking at the F-TYPE, everyone will believe in love at first sight. This captivating and beautifully crafted vehicle is unmistakable. Giving Jaguar shoppers near Benton plenty of options to choose from, everybody will be able to go home in the exact car they dream of. Inside, the picturesque features continue. The driver-focused cockpit offers Sport and Performance seats, which are 18-pounds lighter than the seats in previous models. Lookin slick while staying comfortable is what F-TYPE drivers will be known to do. Brilliance is everywhere on the 2018 F-TYPE. From the way it was built to the features inside, this ride is sure to blow the minds of even the most tech-savvy drivers. Now featuring the standard the Touch Pro infotainment system, drivers will be able to stay connected while remaining in control. 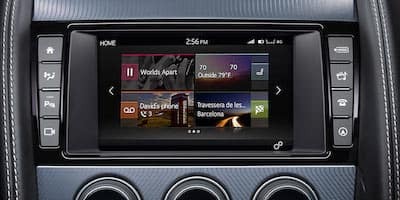 The eight-inch touchscreen makes viewing climate control, GPS navigation, and many other features much more enjoyable. Speaking of music, the standard 770 watt Meridian™ Surround Sound System turns each drive into a concert. Safety is key, and Jaguar Little Rock wants to ensure that every driver gets behind the wheel of a safe vehicle. With two front airbags and two side airbags, drivers and passengers can remain confident in the worst times. For those shoppers who opt for the convertible, there is a rollover protection system that is designed to keep occupants safe during those unforeseen events. Innovation is prevalent inside this ride, and Driver Condition Monitoring detects if the driver is drowsy or fatigued, helping warn the drivers when they need a break. Brilliant! For more information about the 2018 Jaguar F-TYPE, contact Jaguar Little Rock at (833) 664-6125 to schedule a test drive.